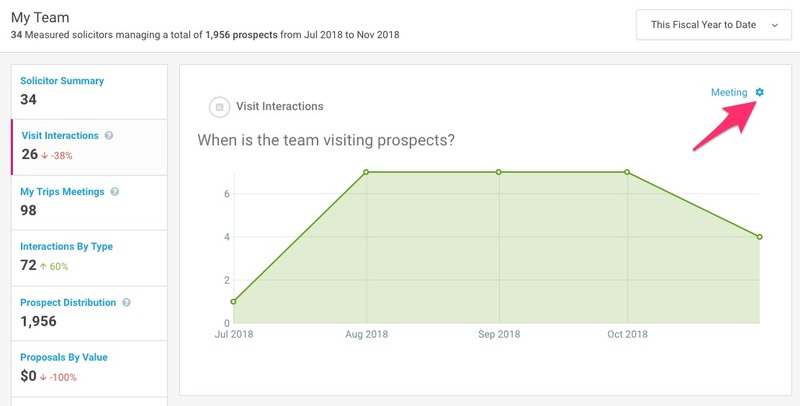 My Team uses data from both your files and EverTrue to generate the provided reports. The only configuration required for My Team at this time is to set your "Visit Interaction" types. Under the "Visit Interactions" report you'll see a Settings (gear) icon, in the upper-right corner. 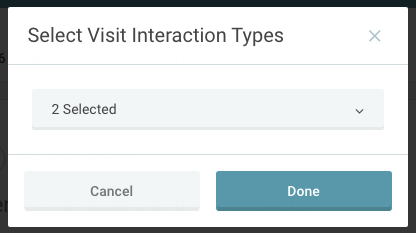 Use this to set which types of interactions should be included as a "visit". For example, both Meeting and Event could be considered a visit for your institution.